Have you ever feel there's a knot in your stomach or the feeling of an aching heart? These are signs of how the body take on repressed emotions and stored it in the muscles and/or the connective tissue of the body. Whether it is done consciously or unconsciously, in time, these emotions become memories that can affect the natural flow of the overall function of the body. In another word, it can affect the natural flow of energy to the body which is vital to the health of all the body organs. 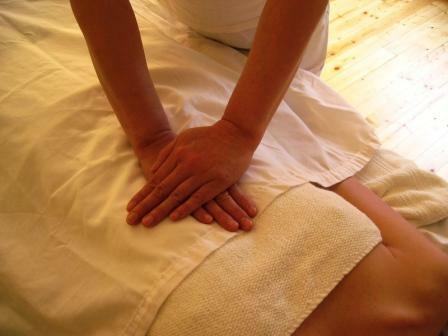 The idea of an energy massage was formed when I started to explore ways in which I can connect the "body", which is tangible to that of "energy", which is non-tangible. What I noticed during a session was while the body is relax, the mind was still racing. I knew then, massage alone was not enough. In order for healing to take place; the mind had to slow down enough to align with the body. At the start of the Massage, I would capture the attention of the mind first by locating the source of pain in the body. It is like giving voice to how the body is feeling and why it feels the way it does. The result is truly amazing when the body and mind are in tune with each other. I have seen the process of healing happens in a matter of minutes because when we have an understanding, the choice is much clearer. In my opinion the "Energy massage" is the most effective way in which the body can release emotional memories easily and effortlessly.